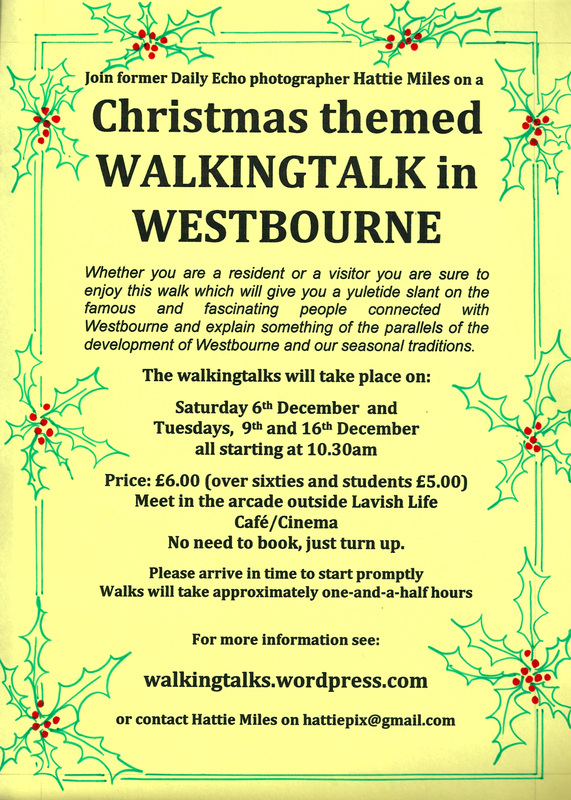 Westbourne walkingtalk with a sprinkling of Christmas fun! 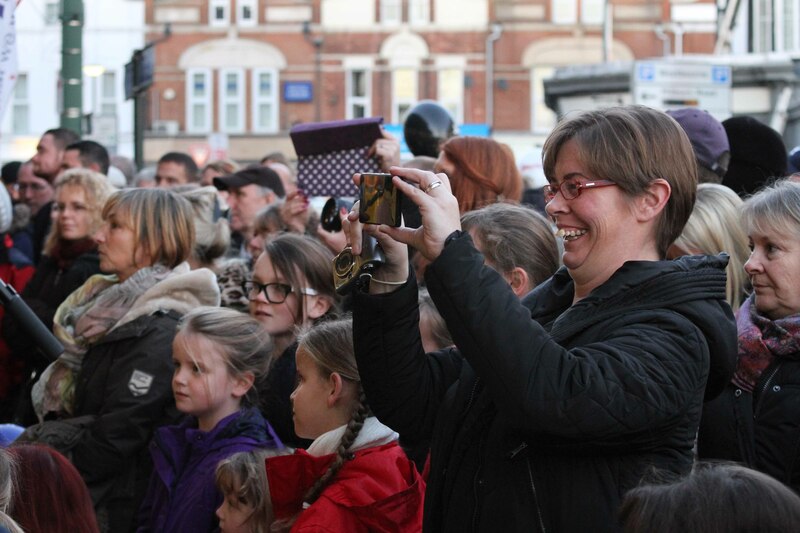 Join Hattie Miles for a festive walkingtalk in Westbourne on Tuesday 16th December. Come along and you will learn that Westbourne’s expansion has many parallels with the development of our traditional Christmas celebrations. You will also discover some of the area’s hidden secrets and find out about the famous people connected to the area. The walk will be interesting and lots of fun. It is the third of a series of Christmas walks in Westbourne. The circular walk will take place on Tuesday 16th December. Meet in the Henry Joy arcade outside Lavish Life café ready for a 10.30am start. 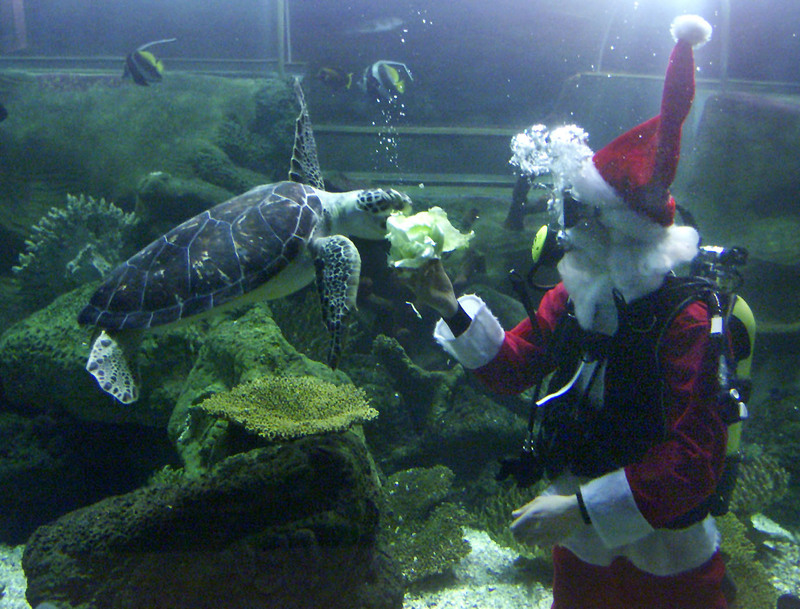 Walks take about one-and-a-half hours and finish in time for lunchtime refreshments and Christmas shopping. Price £6 (£5 for over sixties and students). Be prepared: This is a gentle, mainly flat walk, but I would recommend wearing comfortable shoes and dressing appropriately for the weather. Thank you everyone who came along to this walkingtalk – you were great!! Thank you to the walkingtalkers who joined Hattie Miles for her festive stroll round Westbourne yesterday (Saturday 6th Dec). There are two more walks on Tuesdays 9th and 16th December, starting at 10.30am outside Lavish Life cafe in the arcade. 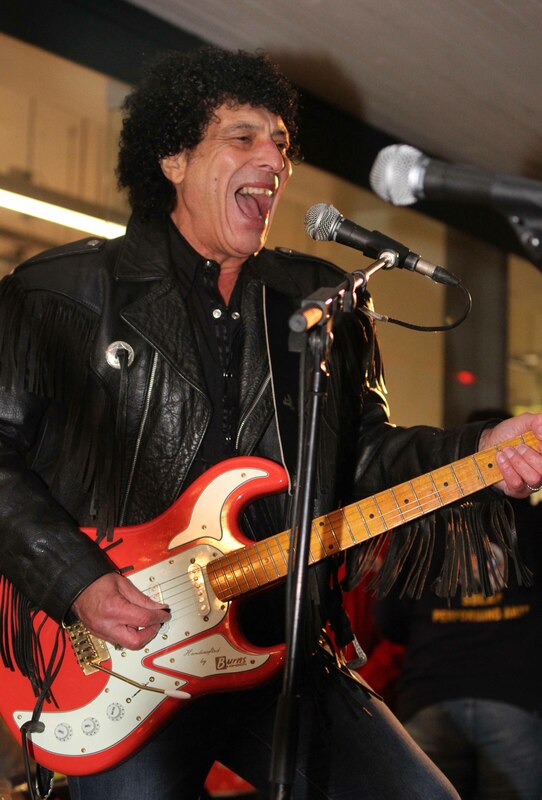 Hattie stayed to see local resident Ray Dorset aka Mungo Jerry switch on the Westbourne Christmas lights and sing his mega hit “In the Summertime” to a big crown outside M&S who joined in with kazoos. What a fun occasion it was and great to see so many having such a good time! Look out for yellow posters with information about Hattie’s Westbourne walkingtalks. Join Hattie Miles for a festive walkingtalk in Westbourne on Saturday 6th or Tuesdays 9th and 16th December. Come along and you will discover that Westbourne’s expansion has many parallels with the development of our traditional Christmas celebrations. You will also find some of the areas hidden secrets and find out about some of the famous people connected to the area. The walk will be interesting and lots of fun. The circular walks will take place on: Saturday 6th December and Tuesdays 9th and 16th December. Meet in the Henry Joy arcade outside Lavish Life café ready for a 10.30am start. Price £6 (£5 for over sixties and students). Walks take about one-and-a-half hours and finish in time for lunchtime refreshments. Be prepared: This is a gentle, mainly flat walk, but I would recommend wearing comfortable shoes and dressing appropriately for the weather. Public loos are in the main car park on Millburn Road – we do NOT walk past them!